Today Mayor Bowser announced that the [National Immigration] Forum will receive $100,000 to provide financial support to government employees, contractors, their families, and constituents who participate in these workshops and then decide to seek citizenship; this grant represents the largest such government fund in the nation. The Census Bureau estimates that 14 percent of D.C.'s residents are immigrants. 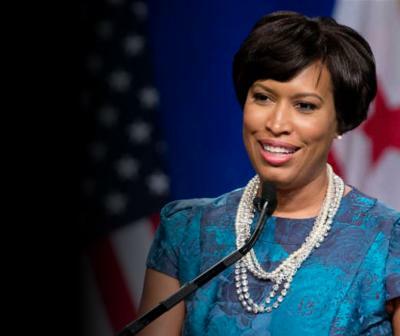 Bowser has long advocated for special privileges for immigrants living in the nation's capital. Her office's press release noted the unique makeup of the program. The funds are available on a first-come, first-serve basis. To access that money, non-citizen residents have to attend a "citizenship workshop" run by the National Immigration Forum, supported by the $100,000 grant. NIF lobbies for higher levels of immigration and argues that we must provide a path to citizenship for all 11 million illegal aliens through "earned legalization". While $100,000 is only a drop in the bucket of the city's $14.5 billion budget, it is still enough to raise questions. Could this grant have gone to a prominent D.C. charity fighting to improve the city for all residents, citizen and non-citizen alike? Addressing widespread poverty in D.C. — among the worst in the country. Instead, this went to a single-issue advocacy group to support programming it has operated for years. This move benefits Bowser, allowing her to dispense political patronage. The National Immigration Forum benefits from an additional $100,000 for its New American Workforce initiative, which already operates in the city (and part of the sum NIF is likely to divert as "overhead"). Some DC non-citizen residents receive $725 to take a free crack at the citizenship process. How do the city's citizen residents benefit?